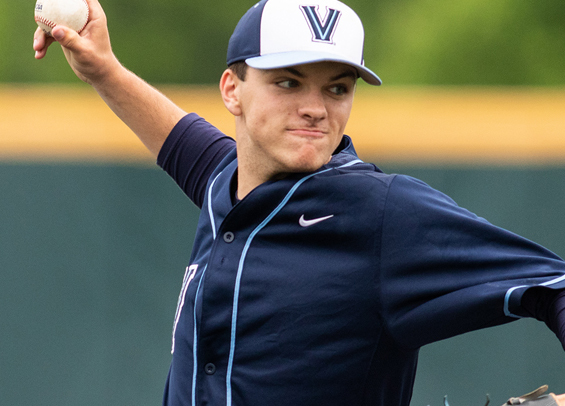 For a club that's struggled in the early going, the performance of sophomore right-hander Jimmy Kingsbury has been a highlight for Villanova. He again pieced together a solid outing on Sunday, tossing a one-hit shutout over La Salle in a 1-0 Wildcats victory. Ryan Guckin secured the lone hit on the afternoon for the Explorers (10-8) with a single in the opening frame. Pat O'Neill finished with three hits for Villanova (5-14) while Nick Lorusso drove in the contest's lone run with a single in the third to score Chris Rotondo who reached earlier in the frame with a double to left field. The victory was the 17th 1-0 win in Villanova history and first since 2017 against Xavier. The contest also marked just the seventh time in school history that Villanova has allowed an opponent one hit. As for Kingsbury, he threw 105 pitches on the afternoon and walked a pair while collecting five strikeouts. He retired 19 straight to end the contest. With the win he improves to 3-1 on the season and lowered his ERA to 4.25 over 36 innings. The win also extended Villanova's home winning streak over La Salle to 28 games. The last time the Explorers won on the road against the Wildcats was in 1988. Villanova is back in action on Tuesday when the club visits Saint Joseph's. As for La Salle, the Explorers will travel to face Delaware also on Tuesday.